WAND Customer Service Taxonomy Update! The most recent taxonomy that we've updated is the WAND Customer Service Taxonomy. We focused on reviewing the current terms and also expanding the synonyms. Customer Service Metrics saw the largest number of new terms. Services was moved into Customer Support which also had an increase of additional terms. All areas had quite an increase in synonyms. The WAND Customer Service Taxonomy now provides a foundation of 528 terms and 544 synonyms that can also be customized to provide any customer service department the terms needed to tag and organize their documents. As with all WAND Taxonomies, the WAND Customer Service Taxonomy is available by itself or as part of the WAND Taxonomy Library Portal. The new WAND Medical Devices Taxonomy is designed to provide anyone involved in the development of medical devices the ability to tag and organize the enormous number of documents generated during this process. This taxonomy provides a foundation of 656 terms and 327 synonyms and can be customized to include terms specific to the devices that are currently being developed, have been developed, or are currently on the market. The WAND Medical Devices Taxonomy covers the process of bringing a new device to market. 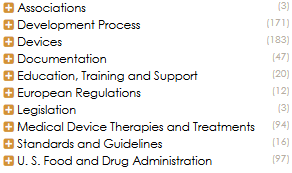 Higher level terms include Devices, Development Process, Medical Device Therapies and Treatments, Education, Training and Support, and Documentation. The taxonomy also includes the topics of Standards and Guidelines, Associations, U.S. Food and Drug Administration, and European Regulations. 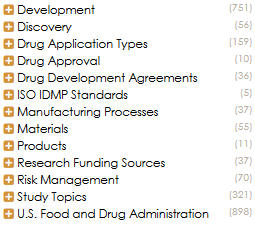 Use the WAND Medical Devices Taxonomy to better organize data and content as you navigate the path of inventing, developing, and providing a safe and effective device. The WAND Medical Devices Taxonomy, as with all WAND Taxonomies, is available by itself or as part of the WAND Taxonomy Library Portal. We have expanded the WAND Automotive Manufacturing Taxonomy! This taxonomy is designed to provide terms specific to automotive manufacturing and offers a foundation of 1,512 terms and 947 synonyms that can also be customized. Top level terms now include Vehicle Classifications, Assembly, Design, Performance, Problems, and Components. National Highway Traffic Safety Administration Safety Standards, Investigations, and Recalls are also covered. The Features category expands the number of terms that make a car special - the Advanced Driver Assistance Systems, the Infotainment Systems, the Trim Packages, Climate Control Systems, Ergonomics, the Instrument Panel, and much more. The WAND Automotive Manufacturing Taxonomy can be customized to meet the needs of any specific business in the automotive industry. As with all WAND Taxonomies, the WAND Automotive Manufacturing Taxonomy is available by itself or as part of the WAND Taxonomy Library Portal. We are excited to introduce the latest taxonomy in our Manufacturing Taxonomy Suite, the WAND Automotive Manufacturing Taxonomy. If you are an automobile manufacturer and are already using our WAND Manufacturing Taxonomy, you can drill down even deeper with our WAND Automotive Manufacturing Taxonomy. This taxonomy is designed to provide terms specific to automotive manufacturing and provides a foundation of 865 terms and 480 synonyms that can also be customized. 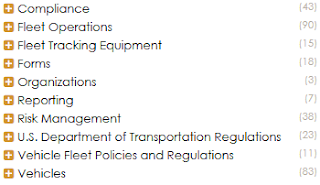 Top level terms include Vehicle Classifications, Assembly, Design, Performance, and Components. 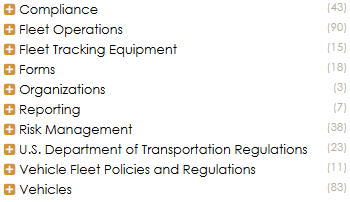 National Highway Traffic Safety Administration Safety Standards, Investigations, and Recalls are also covered. The Features category provides terms that make a car special - the Infotainment Systems, the Trim Packages, Climate Control Systems, Ergonomics, and the Instrument Panel. The WAND Manufacturing Taxonomy has been expanded! The WAND Manufacturing Taxonomy has been expanded. It provides a foundation of 1,170 terms and 371 synonyms and can be customized to include specific terms to meet the document management needs of any manufacturing company. In this expansion we've added to several areas. 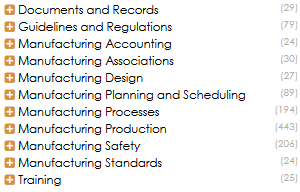 The Manufacturing Planning section has been changed to include Scheduling. Manufacturing Production now incorporates Methods, Strategies, Production Processes, Production Control, and more. Manufacturing Safety has also been expanded. We have added both Documents and Records as well as Guidelines and Regulations as top level terms. Manufacturing Processes is a new top level term. It includes Discrete Manufacturing, Process Manufacturing, and Additive Manufacturing. Discrete Manufacturing covers Bill of Materials and Process Manufacturing contains Formulations and Ingredients. Additive Manufacturing (3D Printing) incorporates terms relating to Additive Manufacturing Techniques, Scanning, Process Types, and Materials - both Filaments and Powder Additives. To focus on specific areas of manufacturing we will soon be releasing several new taxonomies to complement our WAND Manufacturing Taxonomy. 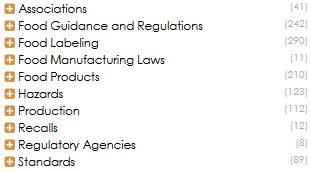 The first of these will be the new WAND Food and Beverage Manufacturing Taxonomy and the WAND Packaging Taxonomy. As with all WAND Taxonomies, the WAND Manufacturing Taxonomy is available by itself or as part of the WAND Taxonomy Library Portal. Why the SharePoint Managed Metadata Service and Term Store should be standalone Office Applications. Microsoft has been progressive in supporting taxonomy and metadata in SharePoint. The Managed Metadata Service was first released as part of SharePoint 2010 and was a dramatic improvement over existing metadata capabilities. For the first time, companies could deploy defined hierarchies of terms with which to tag, filter, and search content. Today, the Managed Metadata Service continues as part of SharePoint 2013, SharePoint 2016 and SharePoint Online. Taxonomy and structured metadata add tremendous value in many Microsoft applications including SharePoint, OneDrive, Delve, Microsoft Teams, Yammer, and Flow. (See earlier blog posts "Taxonomy: The Missing Signal in Microsoft Delve" and "Why Microsoft Teams Must include support for Managed Metadata and Taxonomy"). Has the time come where Managed Metadata has outgrown SharePoint? I'd say yes - it's time for Microsoft to break out the Managed Metadata Service and make it a standalone Office application. Separating the Managed Metadata Service from SharePoint would increase the prominence of metadata and taxonomy and make it clear how important metadata is for organizing enterprise information. Separating it would also open the door to do specific metadata integrations with other applications besides SharePoint. Office 365 is an ecosystem of valuable productivity and collaboration applications. Managed Metadata and taxonomy can be a common thread woven throughout the ecosystem. Many WAND customers who are developing an enterprise taxonomy are worried about how they will enforce tagging. Currently the choice is between just manual tagging upon check-in and investing in a third party automatic tagging engine. There is a middle way, I believe. The middle way is a tag suggest feature - I'll call it "Intelligent Tag Suggest". A user creating a Word document could type a term in the body of the document that also appears in the Term Store. Word could then prompt the user that this occurred and ask them if they would like to tag the document with the term. Term descriptions and alternate descriptions could be used to power this "Intelligent Tag Suggest" feature, and the Term Store could be enhanced to allow softer clue terms to be added to each taxonomy concept. "Suggest as Tag" could be a configurable option for each Term Set or each individual term. Microsoft is starting to recreate taxonomy management capabilities elsewhere. Last year, Microsoft released the Azure Data Catalog to general availability. 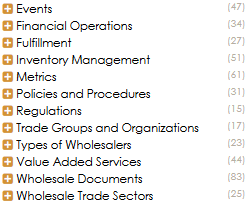 Azure Data Catalog has a Business Glossary feature which replicates many of the features of the Term Store (Read more about Azure Data Catalog at https://docs.microsoft.com/en-us/azure/data-catalog/data-catalog-how-to-business-glossary). A single Microsoft application that could manage vocabularies across applications makes more sense and would encourage the appropriate re-use of vocabularies across an organization. Ontology and taxonomy auditing and governance features - expand the foundation in place with Term Groups. Connections where appropriate to individual Office applications and settings to support taxonomy within those applications. Improved import and export support, including support for common XML formats, advanced relationship types, and synonyms. Metadata Graph: help admins visualize where various concepts and terms sets from the term store are used across the enterprise. This is something that could be added just in SharePoint to add a huge amount of value and help admins map out their metadata models. Besides adding tremendous value to users, a standalone term store with more robust taxonomy and ontology management capabilities would be a huge strategic differentiation and put Microsoft in the driver's seat for expanding its footprint within existing clients. Simply put, taxonomy is a foundation component to a wide variety of enterprise applications. Taxonomy is sticky. The more deeply taxonomy and Managed Metadata is integrated within the complete Office Suite, the more entrenched Microsoft will be inside an organization. There is no other enterprise software provider with the level of support for taxonomy that Microsoft already has in SharePoint. Companies which have invested in taxonomy won't readily be able to duplicate this if they try to migrate out of Office 365. Any other metadata fields can generally be handled elsewhere but Managed Metadata cannot easily be migrated. Taxonomy support can and should extend outside of the core Office suite of applications. Business intelligence, big data analytics, search, and ERP applications (Accounting - account ledger categories; Procurement - spend analysis categories and buyer catalog), data catalogs, etc all significantly benefit from taxonomy. With a standalone Managed Metadata Service, users would naturally come to Microsoft's suite of applications because taxonomy would be ready to go. Internal Microsoft development across its suite would no longer need to re-build the wheel and could simply hook into the standalone Managed Metadata Service for each application. Microsoft should devote resources to adding features to the term store to transform it from a taxonomy management environment to a complete taxonomy and ontology management tool. This investment would drive metadata and tagging throughout and beyond the Office Suite and would facilitate taxonomy re-use for Microsoft's clients. If you agree, please vote on Microsoft User Voice to let Microsoft know that you think this is an important idea. Keep things neat and tidy. SharePoint can get messy and cluttered over time. I hear all the time that an objective of the migration is to "Get it right this time." SharePoint migrations are a natural time for enterprises to cull content and decide which documents to bring into the new environment and to put extra thought and effort into how content will be organized and found. It's kind of like moving houses. You are more likely to throw things away and make sure everything is nicely organized at your new house than you are to clean up that old storage room in your old house. Take advantage and make sure taxonomy is included. Strike while the iron is hot. The benefits of taxonomy are clear; however, once a migration is over, there may be general fatigue to re-opening the project and adding something new. There is a risk that it will be perceived as trying to fix something that just didn't work. Migrations are the perfect time to identify and implement the most important features. The road map, and budgets, are both open. Make sure taxonomy is on the list. Leverage new features. Metadata is increasingly important in each new version of SharePoint. From SharePoint 2010 when the Managed Metadata Service and the Term Store was first introduced, metadata has become more valuable with each subsequent release. Here is a high-level overview of the key features. This is the first version of SharePoint to have the Managed Metadata Service and the Term Store, a powerful feature which allowed for management of hierarchical taxonomies with synonyms. Taxonomies managed in the Term Store could, for the first time, be assigned to managed metadata columns associated with document libraries, content types, lists, or deployed site-wide. This was a dramatic leap forward in the ability of SharePoint users to organize content with metadata (good) instead of folder structures (bad). Managed Navigation was a new feature of the term store in SharePoint 2013. It allows for the site structure and navigation to be driven by a taxonomy in the Term Store instead of needing to worry about the physical structure of the site. Pages driven by Managed Navigation get search friendly URLs and can easily be moved simply by adjusting the taxonomy in the Term Store. The Content Search Web Part was released with SharePoint 2013. This allows for content in any site collection to be dynamically displayed on a SharePoint page based upon metadata tags. This is a powerful way to create content rich pages in SharePoint without worrying about where the content is stored. The power of this web part can only truly be unlocked if a taxonomy is in place. The Content Search Web Part can be used in conjunction with Managed Navigation to create pages and populate pages with relevant content completely dynamically based upon navigation term sets and well-tagged content. The FAST search engine became the default search engine in SharePoint 2013. This search engine was significantly more powerful than previous SharePoint search and took even greater advantage of taxonomy metadata (enabling the Content Search Web Part, for example). More explicit refiner support was introduced with the ability to provide accurate filter counts. Drag and Drop metadata. Content can be dragged and dropped to tag with taxonomy terms. Again, this is another simple user interface enhancement which makes it dramatically easier - and dare I say fun - to tag. Hybrid Taxonomy Scenario. It's now easy to maintain the same taxonomy across your on-premise and in-cloud SharePoint environments. Your taxonomy can be managed in SharePoint Online and then consumed by your on-premise Term Store. Previously, synchronizing taxonomy between hybrid term stores was difficult. That problem is now solved. Future-proof SharePoint and your content. New feature and applications, such as Delve and Microsoft Teams, continue to be released for SharePoint and the complete Office Suite. My strong opinion is that these features will benefit from well tagged content and from an enterprise taxonomy. (Read my earlier articles about this here: The Missing Signal in Microsoft Delve and Why Microsoft Teams Should Integrate Managed Metadata). 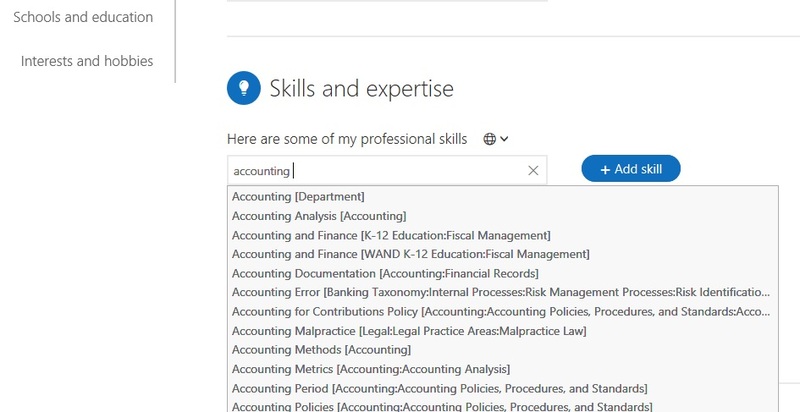 If you have a taxonomy in SharePoint, you'll be ready as these features are released. There is basically never a scenario where you won't be better off with well-tagged content. As we've said before, the Information Technology industry is constantly changing and growing and, of course, the WAND Information Technology Taxonomy must grow and change as well. The WAND Information Technology Taxonomy has undergone an update. We've added IT Security as a Top Level Term and expanded Technologies and Fields to include Artificial Intelligence, Digital Mesh, Emerging Data Storage Technologies, Internet of Things and more. key ingredient in most information technology environments and we wanted to be sure that Data was well reflected in our taxonomy. Just as Data is important in IT, so is the front end design - Computer Graphics and Web Design covers GUI and front end related topics. 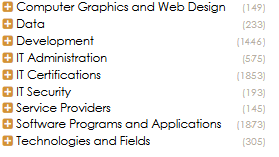 Finally, all of these ingredients of IT applications are used in various fields or applications. Development also underwent a major expansion in Applications, Development Tools, Languages, Operating Systems versions, Protocols and the areas in Software Development. This taxonomy now has 6,772 terms and 1,337 synonyms.